A personal loan offers monetary aid without you having to pledge any collateral. In addition, you are generally not required to disclose the reason for which you need the loan. This freedom of use, combined with the ease of availing a personal loan, makes it the ideal tool to finance a wide variety of expenses with. Medical emergencies can catch you off guard and may result in expenses that are steep and prolonged. In such a situation you surely don’t want to compromise on the quality of medical care, so you must be armed with the necessary finance. But if the quantum of funds required is high and you don’t want to dip into your savings, it’s prudent to opt for an instant personal loan. Depending on the lender you choose, you can get access to funds in just a few hours. Home renovation will add value to your property and improve your quality of life. Thus, it’s important from the point of view of preventing major structural expenses later and ensuring that your asset fetches you good resale value when the time comes. A simple way to ensure this is by taking a personal loan. You can make modifications to accommodate new family members, address repairs and structural damage, and update your home with the latest amenities. Not only do you get the amount you need quickly, a personal loan for home improvement also comes with no restrictions on how you can use the funds. Moreover, since you’re likely to only have an estimate regarding how much your home renovation is going to cost you, it’s worth your while to look for a lender that offers a flexi loan. This enables you to borrow as you need from the total sanction and pay interest only on the amount you use. You can also opt for interest-only EMIs and repay the principal at the end of the tenor to manage cash flow better. With every member of your family having a hectic schedule, vacations are possibly always a last-minute affair. By the time you finalise on a destination and your itinerary, the prices of a travel package, flight and hotel tickets are likely to skyrocket. Instead of postponing your plans or settling for a destination that isn’t as exciting, you can take a personal loan for travel and repay the loan through easy EMIs, over a comfortable tenor. However, to make the most of this option, it is important for you to choose a loan that has a competitive interest rate and online loan management, especially if you aren’t planning a short vacation or are travelling abroad. This way, if you’re planning a summer in Europe or camping in North East India, 5 minutes of internet connectivity is all you need to check your personal loan details, request a release of funds and even make repayments. There’s no celebration quite as extravagant as an Indian wedding, and to execute plans to the T it’s important that you have a steady supply of funds. Fortunately, a good personal loan is all you need to fund a plethora of wedding expenses, big and small. Finance from the loan can help you book the wedding venue and caterers, put together the trousseau, book hotels for out-of-town guests and pay for the honeymoon, too. If you’re a seasoned credit user, a personal loan can be of use to you in one other way. Having too many outstanding debts isn’t optimal, especially given the mounting rates of interest and the many due dates. If you’re all too familiar with this predicament and foresee your debt getting out of hand, you can consolidate your debt. By consolidating your debt, you clear it quicker, reduce expenses and make managing deadlines easier. Once you clear existing loans, you have to tackle just one personal loan. To make the most of this option, consider a lender that offers easy repayment terms and a low interest rate. This way you’ll be able to make sure that your debt consolidation loan isn’t landing you into a debt trap. 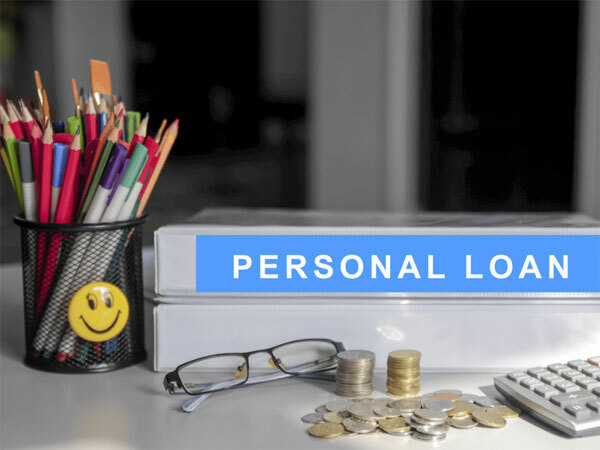 Further, if you are applying for a personal loan, check your eligibility by using a personal loan eligibility calculator. While your credit score plays a major role in determining the interest rate you can acquire, matching the eligibility criteria helps avoid any rejections based on non-conformity. Will Amazon create prime competition for mortgage lenders?